Hosted by Mutiny Magazine’s own Pirate Merman JAX! 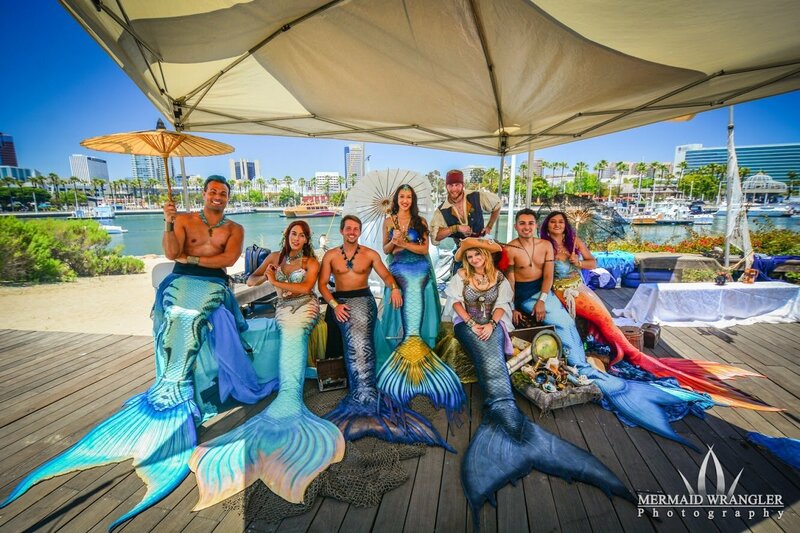 Come and visit with our mermaid and merman pod who will be swimming into the harbor to meet you. Our Merfolk are very friendly and love human children. 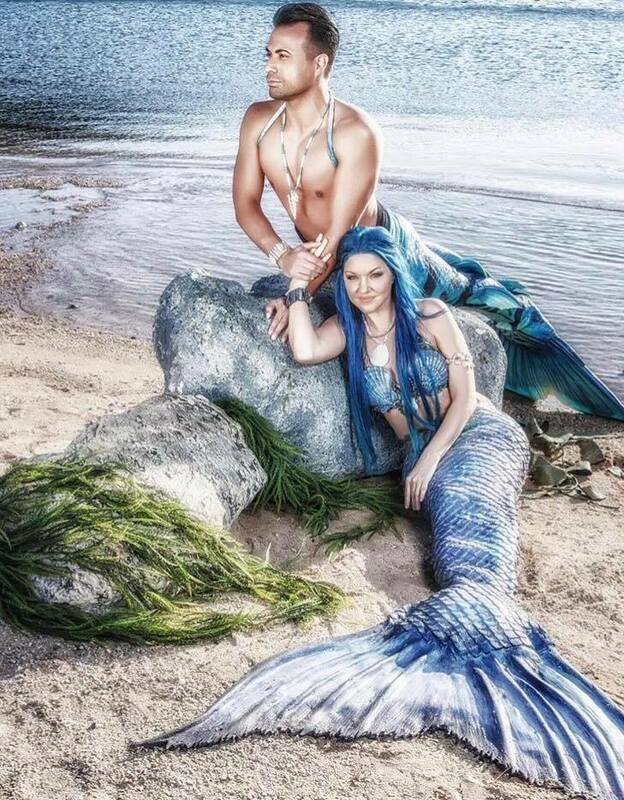 Come visits the merfolk grotto and get a photo with them. Main stage merfolk will be representing Long Beach Pirate Invasion and will be held to a higher performance standard. Merfolk must follow all the requirements at all times and be polite to all guests/performers/talent. You will be working along with Merman Jax and his team Dark Tide Productions. It is the job of the merfolk to help make this event look and function professionally! This is a NON-PROFIT event and tips or donations you receive will be donated to a charity at the end of the event. Networking, party planning and business cards are all very welcome. Feel free to promote yourself or business but remember that you are here to represent Long Beach Pirate Invasion first. No posters, banners, or signs with you or your company logo are allowed! ~ Merfolk must be 18+, professional, polite and socially adaptable. ~ Realistic textured scaled tails. Your tail must be in good condition, no obvious tears, rips or exposed legs. ~ No drinking, swearing, or smoking/vaping on set/in tail. Once you are out of tail you may drink, smoke, swear but still be very aware of your surroundings and the children that may be listening or recognize you without your tail. ~ You must remain in character at all times in or out of tail. Again it is important to remain mostly in character when out of tail, you will be recognized and you will need to be able to tell the children why you have legs. ~ NEVER change or de-tail in front of guests or children. Your handler must remove you from the main set and put you in a private area where you can de-tail away from the eyes of guests. ~ Character look must be approved by Merman Jax. Clean, no obvious tears or damage to tail or costume, appropriate character attire (“walking costume”) for out of tail. Again, please keep in mind you are a character performer for Long Beach Pirate Invasion and will be expected to remain in character while enjoying the event. ~ Drama, diva attitudes, or conflict will not be tolerated. If you have an issue bring it to Merman Jax first and together with the higher ups, the situation will be handled discretely and professionally. ~ Must be good with children, improv, and have a solid character, including name and backstory. 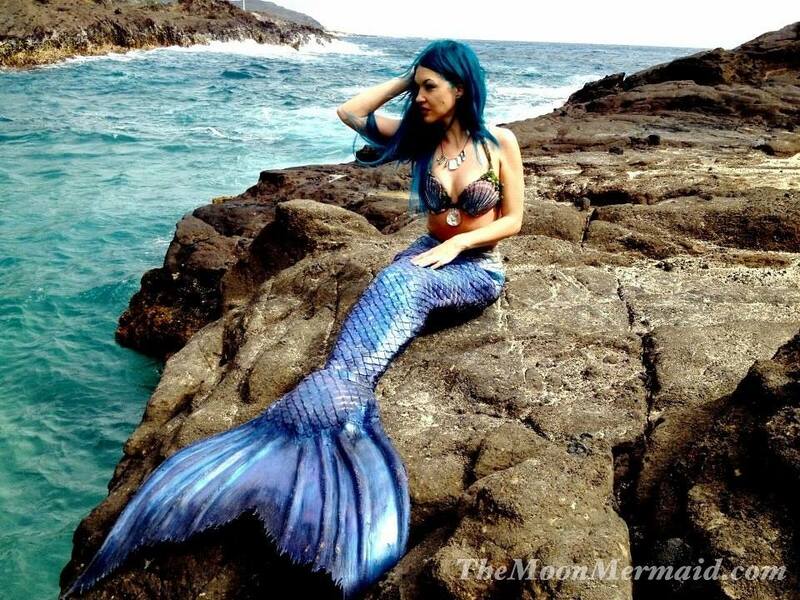 We understand that these are very strict “Disney” style rules; this is because we will be working with children and we want believable, quality performers that portray merfolk life in and out of the water seamlessly. The Pirate Invasion of Long Beach and Merman Jax reserve all rights to add/modify/change these requirements as needed and to add/remove merfolk as deemed necessary, including but not limited to, if guidelines are not met and upheld. All Professional Merfolk candidates will be considered on a case by case basis. However, this is NOT a “you can’t swim with us” event. – All ages welcome, children under 18 must have adult supervision at all times. – Must have own tail. – No drinking, smoking, or swearing while in tail. Remember by showing up and being a part of the merfolk area, you are also a part of the event as a whole. It is important to act and look your best. Misrepresentation between the Recreational Merfolk and the Official Professional Merfolk is not allowed; this is specifically to avoid any conduct or character issues that can directly reflect on the event. Basically, come have fun and leave any drama home Thank you for your interest in this event. Please direct all concerns and questions to Merman Jax will answer all your issues with the help of Talderoy and Captain Morgan, in order to make this a great and successful event.